Luke Cage Season 2 Trailer, Release Date | Nerd Much? The Netflix portion of the MCU is running at full speed right about now. The Defenders dropped in August. The Punisher in November. Season 2 of Jessica Jones lands on Thursday. And now Luke Cage Season 2 has started its promotional swing. This season is being helmed by Cheo Hodari Coker with Jim Chory and Jeph Loeb on board as executive producers. The first episode of Season 2 will be directed by Lucy Liu. Today’s info drop confirms the return of Rosario Dawson as Claire Temple and Simone Missick as Misty Knight. Alfre Woodard returns in the role of Mariah Dillard, as does Theo Rossi as Shades. 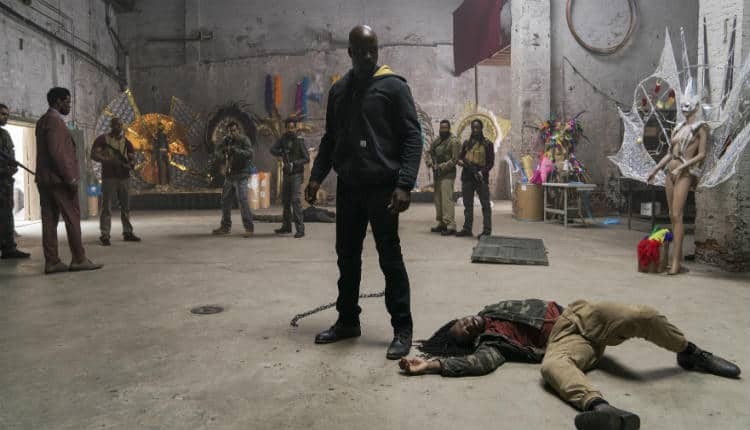 Mike Coulter’s Luke Cage was introduced into the MCU within the fantastic first season of Jessica Jones. Following that, Season 1 of Luke Cage earned itself quite a few accolades upon its release. It holds a strong 95% on Rotten Tomatoes with a Metacritic score of 79. Let’s hope new showrunner Cheo Hodari Coker can continue the momentum of the character. We’ll find out when the series debuts on Netflix in June.